BJP Rajya Sabha MP from Uttarakhand and national spokesman, Anil Baluni. 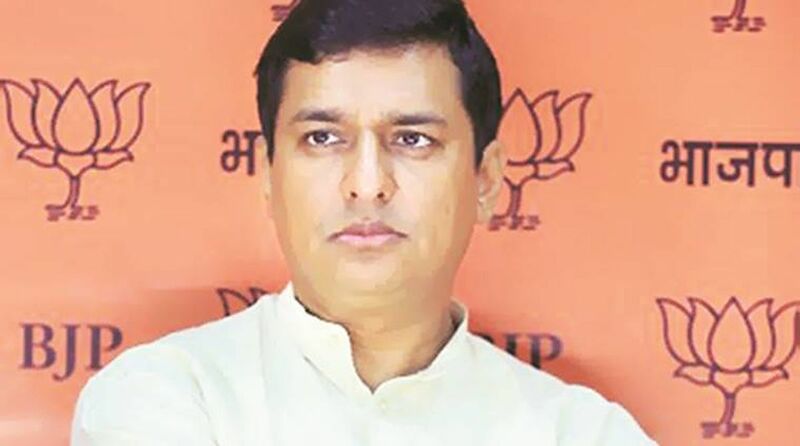 Anil Baluni, 47, BJP Rajya Sabha MP from Uttarakhand and national spokesman, is a protégé of the late RSS pracharak and founding member of Jan Sangh and BJP, Sunder Singh Bhandari. A former journalist, he began his political journey in 1998 working under Bhandari. He was made the BJP Yuva Morcha general secretary in the newly formed state of Uttarakhand in 2001. In 2002 he unsuccessfully contested from Kotdwar assembly seat. Known for his erudition, managerial skills and political acumen, in 2017 he became the BJP national media head and a Rajya Sabha MP in March 2018. Q: After becoming a Rajya Sabha MP you donated your first salary to an orphanage.What prompted you to take such a step? A: I have been working among orphaned children for some time. So, I felt my first salary should go towards their welfare and well being. After I got elected to the Rajya Sabha I said that I don’t want any hoardings and posters showing me or any functions to felicitate me. Let people felicitate me on the basis of my work. Q:Tell us about your ICU project for Uttarakhand. A: My father Pitamber Dutt died in a road accident when I was just nine years old. There are no hospitals in Uttarakhand with ICUs. After a major accident in Pauri earlier this year in which 48 people had died, I declared that I would get three ICUs built with my MPLADS fund every year. Now in the coming 90 days, three ICUs will be ready to serve the people of the state. Q:What do you have to say about starting your journey in national politics as a Rajya Sabha member instead of Lok Sabha? A: The party might have thought that they could engage me more effectively and fruitfully as a Rajya Sabha MP. The party has made a common man like me a national spokesperson, then media head and now a Rajya Sabha MP. This only happens in the BJP. Q: How do you rate the party’s chances in the coming assembly elections in Madhya Pradesh, Rajasthan and Chhattisgarh? A: Sitting in Delhi when I interact with media I sometimes wonder if everything is alright. But when I go to the ground level and see for myself, then I find Modi’s popularity is on the rise. You will see the same level of popularity in the five poll-bound states. Q: How much of the anti-incumbency factor do you estimate would come into play in the three BJP-ruled states of Madhya Pradesh, Uttarakhand and Rajasthan? A: The days of anti-incumbency are over. There are only pro-incumbency factors that would come into play in these states now. The BJP ruled states have brought to an end the element of anti-incumbency and set in motion the pro-incumbency factor in their respective states. Q: How do see the Mahagathbandhan impacting the party in the coming assembly and next year’s Lok Sabha elections? A: The people of the country have already decided to make Narendra Modi Prime Minister again. When Mayawati says they want a ‘majboor (helpless)’ not ‘majboot (strong)’ government at the Centre it says it all. Most of the parties in the Mahagathbandhan, barring a few in UP, have already fought against the BJP. They are not to be taken seriously. The country wants a strong government under Modi’s leadership. Q: How do you plan to counter Opposition allegations regarding price rise, attacks on dalits, faulty economic policies, unemployment, etc., in the run up to the polls? A: Unfortunately, the main Opposition Congress party has taken recourse to wrong tactics to try and come back to power. They rake up some baseless issues or other just before elections. They did this in Uttar Pradesh, Bihar, Gujarat, Maharashtra with the objective of dividing society for narrow vote bank politics. How can you indulge in blatant falsehood just for capturing power? They are shamelessly telling lies even in front of television cameras and inside Parliament. Do you tell a lie about the French President (on the Rafale deal)? India is a cultured country with rich traditions. It is unbecoming of the Congress party to behave in such a matter. Q: Do you think the Opposition’s anti-government campaign will have any bearing on the BJP’s prospects in the coming Lok Sabha elections? A: You will see the BJP will win more seats than it had won in the 2014 Lok Sabha elections. Q: What is the party’s stand on the construction of Ram temple in Ayodhya? A: Our stand on construction of Ram temple in Ayodhya is very clear. It has to be decided by either Parliament or the Supreme Court. The Supreme Court will begin the hearing on the matter from 28 October. The temple will have to be built. We are very positive about the court hearing and hope it would pave the way for the construction of Ram temple in Ayodhya. Q: Whatever may be the Supreme Court verdict will it be acceptable to the party? A: Yes. The temple will be built. Q: How confident is the BJP-led NDA about a second term at the Centre after the 2019 Lok Sabha polls? A: We will come back to power with an even bigger margin in 2019. 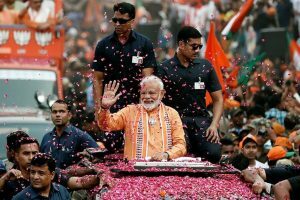 The way this government is performing and keeping in view the popularity of Prime Minister Narendra Modi, it is a foregone conclusion that the BJP-led NDA will return to power under his leadership. Contrary to reports there has been no reduction in the BJP’s vote share since 2014. We used to tell people during Uttar Pradesh polls that we are going to win but none believed us. BJP registered a historic victory in Uttar Pradesh assembly election. Q: Where do you personally see yourself in the party in the next ten years? A: I am a common villager hailing from a tiny village of Uttarakhand. I would like to be among the people and work for the development of Uttarakhand. Q: You are considered the prospective king in the making in Uttarakhand. A: I am a strong believer in destiny. If destiny so ordains and by good luck I am given the work I will do it with all my might, honesty and determination. Q: There have been allegations of sexual misconduct against one of your ministers in the Union government. What do you have to say about this? A: I don’t follow social media much. I don’t want to say much on this matter.